New research provides information about Apple’s ever-growing infotainment integration. Over the next five years, more applications will be integrated into cars, with Apple controlling 49.8% of the systems. These systems will include Apple applications, software, and hardware. This is no surprise to tech-savvy individuals; Apple is one of the largest technology producers in the world. Most people still use their smartphones while in the car, and infotainment systems are there to give drivers a hands-free option. Most hands-free applications in the car are clumsy and unreliable, but Apple’s mission is to create a dependable system that users will be excited to use while driving. While many drivers will find this more convenient, it worries me. I’m not concerned about the fact that we will have smarter technology in our cars, but how attached we are to our smartphones. It’s sad. Wherever you go, whether it be a hike through the mountains or a walk on the beach, there will always be someone on the phone instead of admiring the beautiful landscape created by Mother Earth. 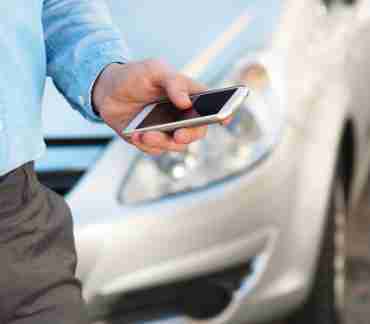 Don’t get me wrong – I love my smartphone and technology, but there should be a line, even in the car. Even hands-free driving is distracting, since drivers have to concentrate on the road and the conversations they are having over Bluetooth at the same time. Let’s say you are having an argument with someone on the phone and you begin screaming at each other. The next thing you know you may be swerving off the road since your mind is not processing what is in front of you. Overall, enjoy the technology we have, but don’t rely on it. When you’re driving, save your calls for when you’re parked, unless it is an absolute emergency. Technology is definitely getting smarter, but the roads are getting more dangerous.